Foodpanda might not yet have the order volumes to match up with the Swiggies and the Zomatos, but it’s trying to make up in distribution. 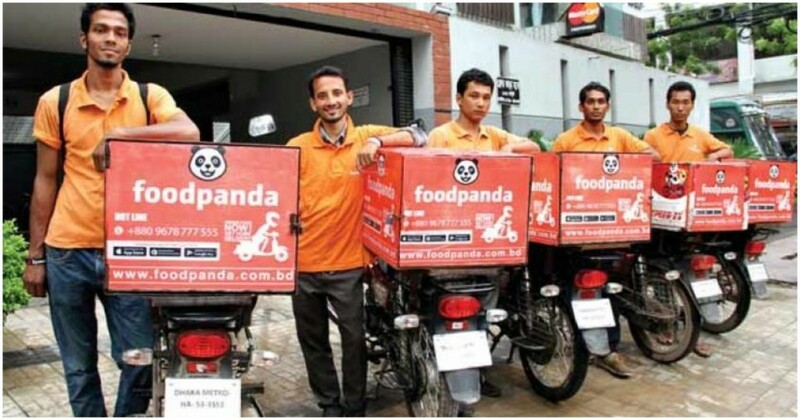 Foodpanda says it has become India’s largest food delivery network after expanding into 100 cities. Foodpanda is now present in most Tier 2 and Tier 3 locations, and says it’s the first in markets like Aizawl, Shillong, Raipur, Jodhpur, Bhavnagar, Patiala, Nellore, Durgapur, Shimla, Rewa, Bokaro. It notched up its 100th city when it went live in Goa earlier last week. Zomato, in comparison, is now present in 93 cities, while Swiggy, as of September, was present in 27. Foodpanda’s push into newer markets is likely because of its acquisition by Ola late last year. After Ola had acquired Foodpanda, it has increasingly looked to integrate with its core cab operations. Foodpanda’s food delivery option is now prominently visible on Ola’s main app, and it’s likely that the two companies are integrating some of the back-end delivery processes as well. Ola already has an on-ground presence in over a 100 Indian cities, and this would’ve helped Foodpanda kick-start its operations in these locations. Foodpanda strategy of going after newer markets is interesting — it makes sure it doesn’t take Zomato and Swiggy head on in their strongholds, but instead is moving into markets where food ordering isn’t quite yet the norm. But with India’s Tier 2 and 3 towns expected to grow rapidly in the coming years, Foodpanda’s early moves might just help it establish a leads in these markets once they’re large and flourishing. “We are also thrilled about bringing the first online food experience for millions of customers in many of these tier 2 and 3 cities,” said Foodpanda CEO Pranay Jivrajka. “These markets are already contributing to over 40% of our national business and we are confident that they will fuel a majority share of business in the near future. Cities like Jaipur, Lucknow, Bhavnagar, Rajahmundry, Bikaner, Ajmer, Jodhpur, Ujjain are some of our fastest growing markets today,” he added. Targeting smaller cities aren’t the only strategy that Foodpanda seems to be using to differentiate itself from its competition. Foodpanda also seems to have focussed on lower order sizes, and has sections on its app for single meals which have free deliveries. Ordering food online can end up being quite expensive if you’re ordering only for one person because of the delivery costs, and Foodpanda seems to have zoned in on this market as well to wrest away marketshare from Swiggy and Zomato. It remains to be seen how its moves will fare, but one thing is certain — after Foodpanda’s acquisition by Ola, it’s moved into another gear, and seems to want to pose a serious challenge to the bigger players in the food delivery space.